You’ve probably seen it in the background of countless war movies, but nothing can prepare you for the epic beauty of traveling Vietnam. While it isn’t my favorite country in the world, there’s no denying that backpacking Vietnam (or simply just traveling here on a budget) is an experience filled with natural beauty and delicious food! 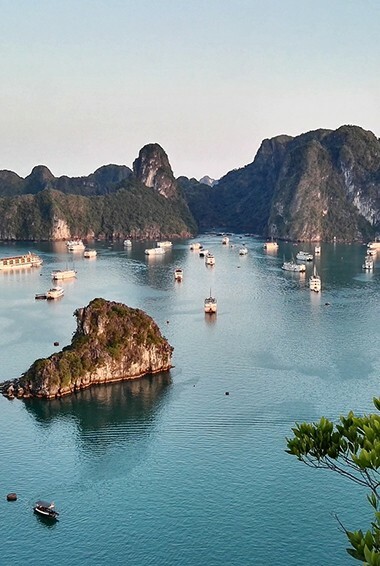 From the natural beauty of Sam Mountain and Halong Bay to the man-made artistry of the sacred temples and pagodas to the rice terraces and beaches, Vietnam has a lot to offer travelers. Most people either love or hate traveling Vietnam. It’s a hard country to travel around, though in the last few years, the tourism industry has expanded and the locals have gotten more used to tourists. 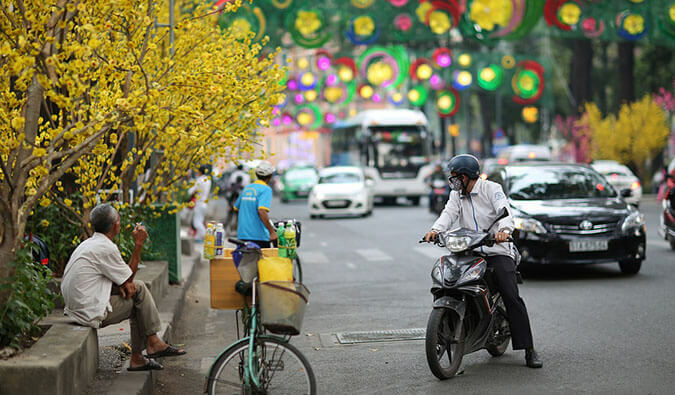 When I first went, there was a negative attitude towards foreigner travelers (for good reason) but the country has warmed up a lot and Ho Chi Minh City has even become a hub for digital nomads. You’ll find a lot to do in this country so take your time! And eat all the delicious food! This backpacking and budget travel guide to Vietnam can help you plan your trip, avoid common scams, and fall in love with the country’s beauty, people, and food. The delta is a 60,000km long web of interconnected waterways, which spans three Vietnamese provinces. 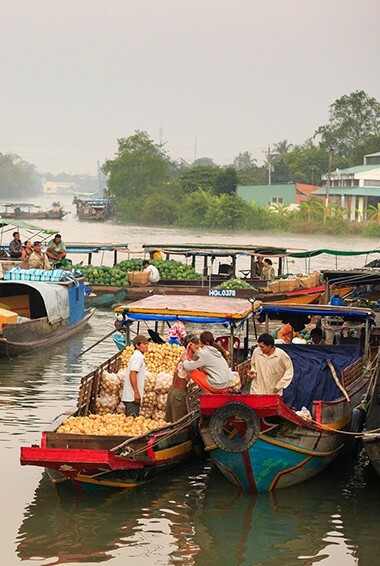 The area is filled with small villages, pagodas, mangroves, orchards, and floating markets. The best way to experience the area is to go on a boat or bike tours. You get to spend a few days really getting to know the region. Vietnam’s capital. Explore the narrow streets of the Old Quarter, visit the countless temples and galleries, the history museum, or the Ho Chi Minh Mausoleum. Hanoi is also a good base for doing multi-day tours to Halong Bay. It’s a hectic, chaotic city — embrace it! More than 3,000 islands sit within the emerald green waters of Halong Bay, one of the country’s most popular tourist destinations. Cat Ba Island has great for hiking and many tourists find themselves taking one of the cave tours. Tours here usually leave from Hanoi and last 3 or 5 days. 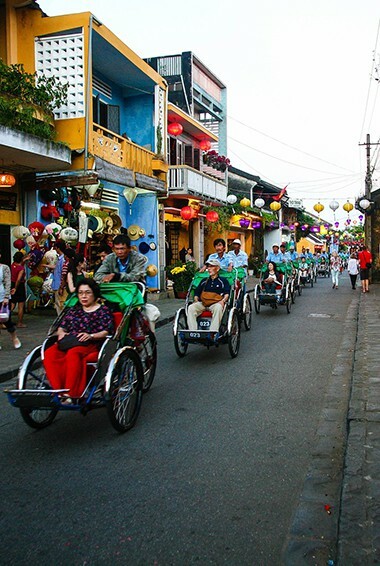 Hoi An is packed with historical homes and buildings and quaint cafes. It’s small and great for walking, buying suits (they have a huge fashion and tailor market), eating, nearby beaches, and relaxing by the river. It was easily my favorite place in Vietnam. 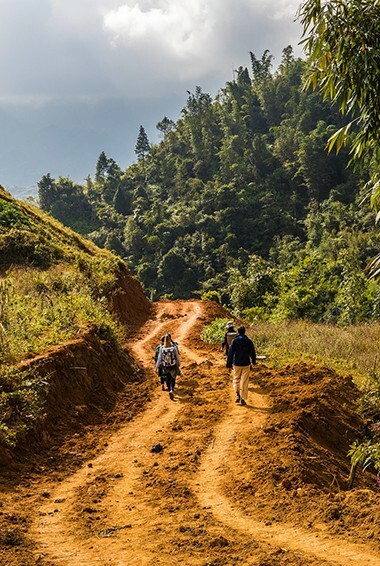 This is northern Vietnam’s premier trekking area and it’s hugely popular with all sorts of travelers. Sapa is famous for its hill tribes, lush vegetation, beautiful hiking trains, and breathtaking mountains. To avoid the tourists, come during the off season or take longer hikes to parts the crowds don’t go. 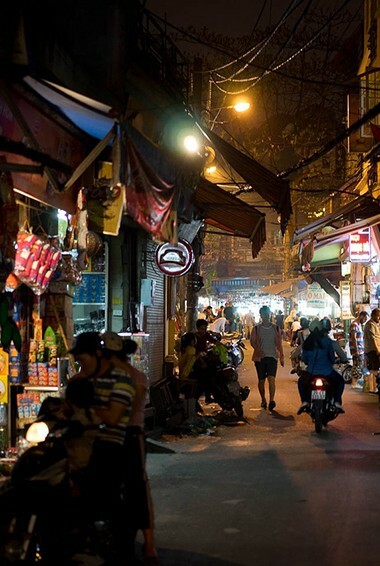 Accommodation – Hostels start around 100,000 VND (4 USD) per night for the most basic accommodation. For a nicer place, you can pay almost double. Private rooms will cost at least 350,890-425,000 VND (15-20 USD) per night for a double room. While hostels were once scarce, they have started popping up all over the country to accommodate budget travelers. Most hostels will offer free WiFi, and many will also include free breakfast or free beer during certain hours of the day. Self-catering facilities are not very common since eating out is so cheap. For a budget hotel with a double bed, expect to pay around 225,000 VND (10 USD) per night. This will usually include free WiFi and free breakfast. Food – You can get a bowl of pho or a rice dish for 20,000 VND (less than 1 USD). Most sit-down restaurants are also inexpensive at around 45,000-95,000 VND (2-4 USD). The fancier (and more touristy) the restaurant, the more expensive. Western food will also be more expensive. A liter of water at a convenience store is about 15,000 VND (less than 1 USD), while beer or soda at a restaurant is about 20,000-35,000 VND (1-2 USD). For those looking to cook their own meals, expect to pay at least 400,000 VND (15 USD) per week for basic groceries. Be sure to shop at the local markets to get the cheapest and freshest food. That being said, food is so cheap in the country, that is simply easier – and often cheaper – to just eat street food. Transportation – Bus travel is very cheap in Vietnam. The public bus around Ho Chi Minh City will cost a maximum of 4,000 VND (less than 1 USD) per ride. Overnight buses, while uncomfortable, are only about 100,000-600,000 VND (4-25 USD) and can take you to lots of cities in Vietnam (this will also save you a night of paying for accommodation). For a bus from Ho Chi Minh City to neighboring Phnom Penh in Cambodia, expect to pay around 320,000 VND (15 USD) per person. The train is also another inexpensive way to travel, with the 791km long train journey from Da Nang to Hanoi costing around 750,000 VND (30 USD). There are extremely low-cost airlines that can hop you around the country quickly for as little as 600,000 VND (25 USD). Activities – Many of Vietnam’s attractions are based around its natural beauty and, as such, cost very little. For organized excursions such as touring the Cu Chi Tunnels you can expect to pay between 100,000-200,000 VND (5-10 USD). Halong Bay tours from Hanoi start around 850,000-1,403,377 VND (35-60 USD) for two-day trips and increase exponentially from there. Half-day cooking classes and bicycle tours are heavily targeted at tourists, so they cost a bit more. Expect prices to start at around 300,000 VND (15 USD). For canyoning in Da Lat, prices begin around 450,000 VND (20 USD) but can go as high as 1,707,440 (75 USD). How much does it cost to visit Vietnam? If you’re backpacking Vietnam, plan to budget between 680,000-900,000 VND / $25-35 USD per day. This is assuming you’re staying in a hostel, eating all the delicious street food, not drinking too much, and using local transportation. You can probably get by on the cheaper end if you opt for dorm rooms over your own private room or a room without air conditioning. A mid-range budget of about 1,165,125 VND / $50 USD is recommended if you want to stay in air-conditioned private rooms, enjoy meals at sit-down restaurants, eat some Western food, take more activities, and maybe private transportation. 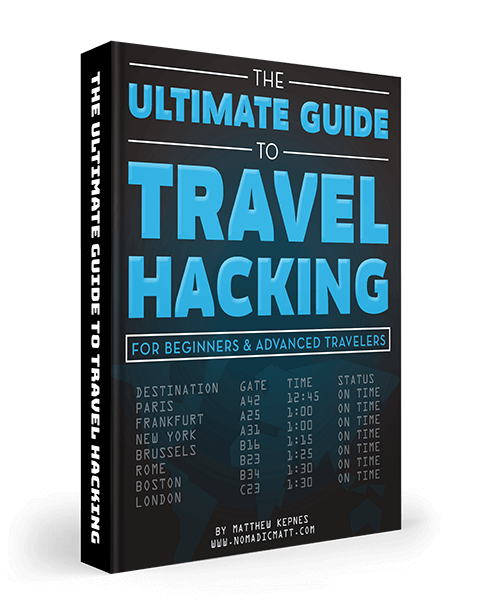 This will also cover several activities and day trips. 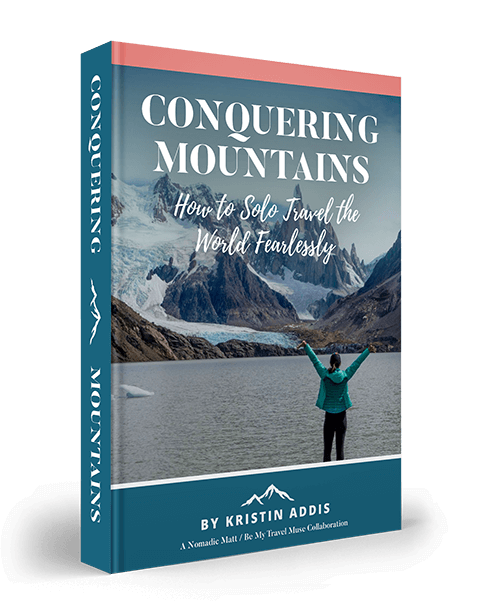 You don’t need to do a lot to stretch your dollar when you’re traveling Vietnam so anything over $100 will ensure you can do anything you want while you’re visiting. The sky is the limit! Of course, the more you spend, the nicer your trip is going to bed. How sky high you go is really up to you! Eat delicious street food – The food is usually excellent, really cheap, and you can watch it being cooked in front of you. Stick to the local food and you’ll save money. The street-side pho, bread, sandwiches (called bahn mi), donuts, and bananas are your best deals all of which can be found for around 20,000 VND (1 USD). 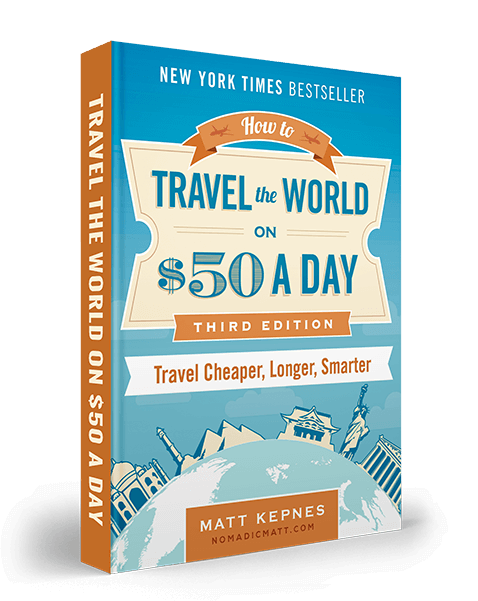 Take the tourist bus – It is actually cheaper to take the tourist bus around the country than taking local transportation because of the “tourist” price you get at the bus station. Tickets from one end of the country to another will cost around 1,200,000 VND (50 USD). Fly for cheap – Vietnam’s low-cost airlines VietJet and FlyVietnam are extremely inexpensive and adding luggage to your flight can cost as little as 150,000 VND (6 USD). This is a great option for people with limited time to explore different regions of Vietnam. Both airlines frequently offer special deals – at the time of writing this, Hanoi to Da Nang is just 818,635 VND (35 USD)! That’s a 13-hour drive. 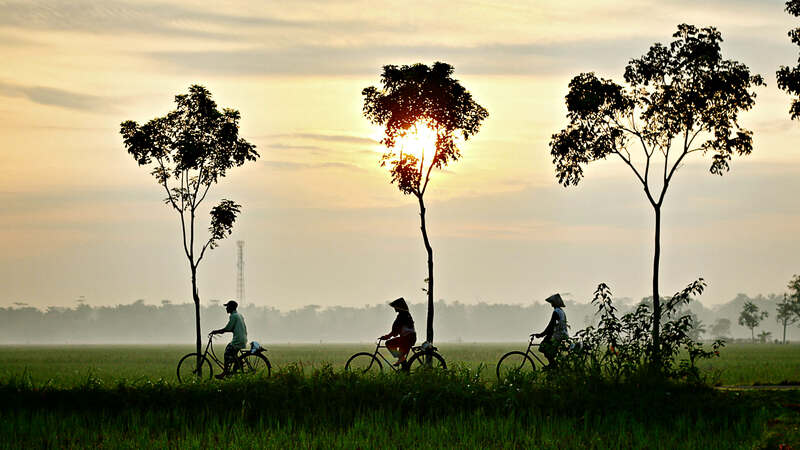 You have plenty of options for getting around Vietnam on the cheap. Public Transit – In some towns and cities, the cyclo (a bicycle rickshaw) is one of the cheapest ways to get around. A short ride will cost you as little as 12,000 VND (less than 1 USD), while a longer night ride will cost you upwards of 40,000 VND (2 USD). A more popular option is the ze om – a motorbike taxi, with fares starting from 15,000 VND (less than 1 USD). You’ll have to hold on tight! Public buses are not great options in Vietnam. Taxis – Taxis are very affordable in Vietnam, and they are metered in the larger cities. This is a safe and reliable way to get around. Rates start at about 12,000 VND (less than 1 USD) per kilometer. By Plane – Flying domestically in Vietnam is a good idea if you’re looking to fit a lot into a shorter trip. For example, a flight from Hanoi to Ho Chi Minh City takes two hours – the train ride would take at least 30 hours (and a one-way flight starts at around 590,000 VND/25 USD!). Train – A lot of people love taking the train in Vietnam because it’s safe, affordable, and comfortable, and although some routes might be slow, you’ll get some amazing views of the Vietnamese countryside. The rail network also most of the country, so you can get just about everywhere you want to go (except the Central Highlands and the Mekong Delta). You can use the website Baolau to research train schedules and book your tickets. A train journey between Ho Chi Minh and Hanoi costs from 837,000 VND (35 USD). Bus – It’s easy to find long-distance bus tours running the length of Vietnam, starting at Hanoi with stops in Hue, Hoi An, Nha Trang, Da Lat, Mui Ne, and ending in Ho Chi Minh. You can hop on or off at any stop along the way. They cater to tourists, but locals actually use this service too (it’s so cheap!). Prices depend on route and operator but generally Hanoi to Ho Chi Minh is between 815,585-1,631,175 VND (35-80 USD). This is the most popular backpacking route, so if you’re intimidated by the local bus system, this is a good alternative. In the southern part of Vietnam, the dry season goes from December to late April/May, and rainy season occurs from May to the end of November. Rainy season usually just means brief heavy downpours in the afternoon, although sometimes the Mekong Delta will flood. May through November is still a good time to visit. Temperatures rarely dip below 68°F (20°C), but it can sometimes get as high as 104°F (40°C) in the hottest months (March to the end of May). Along the central coast, the rainfall pattern differs quite a bit. In the northern part of the region (like Hué and Da Nang), the rain lasts from September to February. February to May is the best time to visit this area. Temperatures soar from June to August, often in the high 80s°F (30s°C). In Northern Vietnam, the weather is most pleasant from October to December. The weather in Vietnam varies so much per region, it’s hard to pick a best time to go! But generally it’s recommended to visit sometime between September-December and March-April if you’re hoping to get an overall experience in the country. Be sure to always count your change. The money is similar looking here so often times people will “mistakenly” give you the wrong change hoping you won’t notice that the 200,000 VND bill you just got is actually only 20,000. Always count your change here! Mostly people are really just going to try to nickle and dime you and try to get you to spend extra money since they know, as a tourist, you have more than they do. Just can an eye out. Most people are very honest! If you don’t do it at home, don’t do it when you’re in Vietnam. Follow that rule and you’ll be fine. Below are my favorite companies to use when I travel Vietnam. They are included here because they consistently turn up the best deals, offer world-class customer service and great value, and overall, are better than their competitors. They are always my starting point when I need to book a flight, hotel, tour, train, or meeting people! 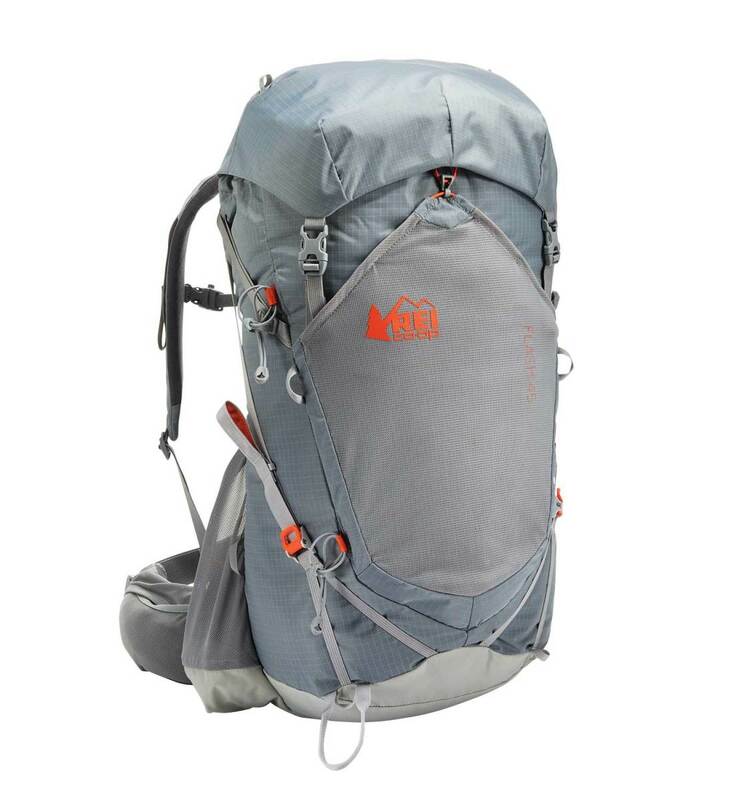 The best backpack for traveling around Vietnam is the REI Flash 45 Pack. It’s light and comfy, front loading, and fits perfectly in an airplane’s overhead bin. If you want something different, refer to my article on how to choose the best travel backpack for more tips and tricks on getting the right pack for your trip. While I don’t love Vietnam (I didn’t have a good experience there), I do love Vietnamese food… a lot! This is an awesome book about the history and culture behind the country’s street cuisine. 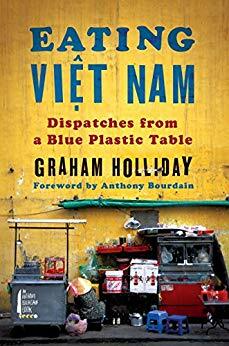 Author Graham Holliday has lived in Vietnam a long time, and he sure knows his food. In this engrossing and hunger-inducing book, you’ll wander with him through the backstreets of Vietnam, learning about the street food you see all over the country and, in doing so, begin to understand the country and its people through their first love. The introduction is even written by Anthony Bourdain! This is Viet Thanh Nguyen’s first novel, and it won the Pulitzer Prize for Fiction. 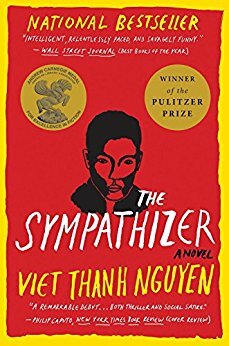 The story focuses on the narrator, a communist double agent who lives two lives — a half-French, half-Vietnamese army captain who comes to the United States after the Fall of Saigon, but while building a life with other Vietnamese refugees in LA is reporting back to his superiors in Vietnam. It’s a unique look at post-war Vietnam, and one that’ll have you gripped right from the beginning. 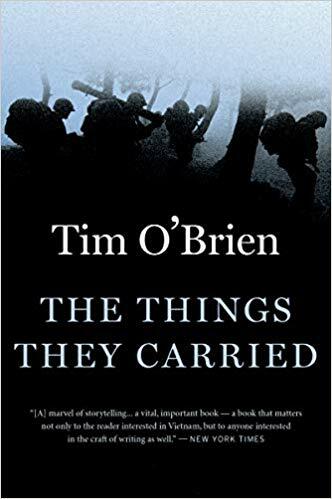 This is the second book of fiction about Vietnam from Tim O’Brien, and it’s required reading in many classrooms. It’s not exactly a novel or a collection of short stories, but a series of fictional episodes taking place in its characters’ childhoods, from the Vietnamese jungles to America and back again. O’Brien writes with such raw honesty, you’ll find this a gut-wrenching, incredible read. While the stories are fictional, it’s clear O’Brien is writing personal war stories from experience. 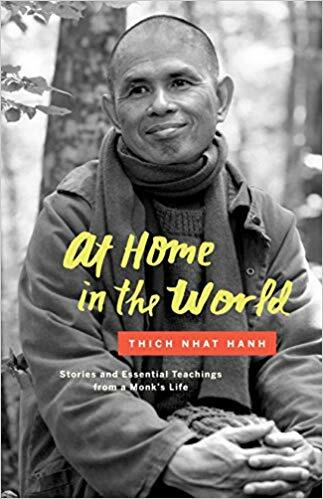 This book is a collection of Zen teachings and stories written by a Vietnamese monk (also a peace activist) named Thich Nhat Hanh. You’ll learn about his life growing up in rural Vietnam, as well as his beginning years as a young monk, through to the time when war sent the country into chaos. 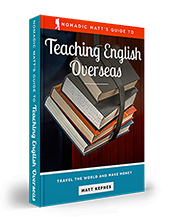 Each teaching and story is short – sometimes just half a page – so it makes for a great travel read that you can pick up when you feel the need.